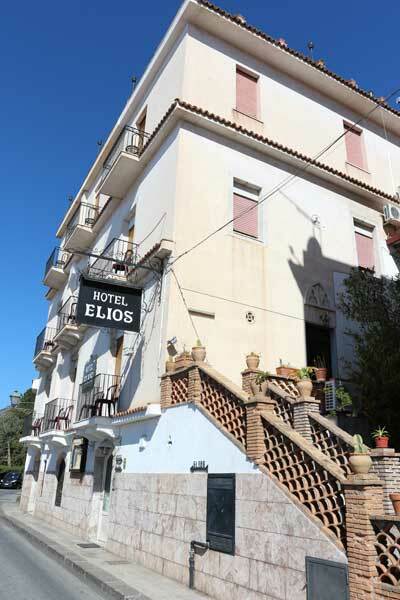 The Elios was built in the historical part of Taormina. 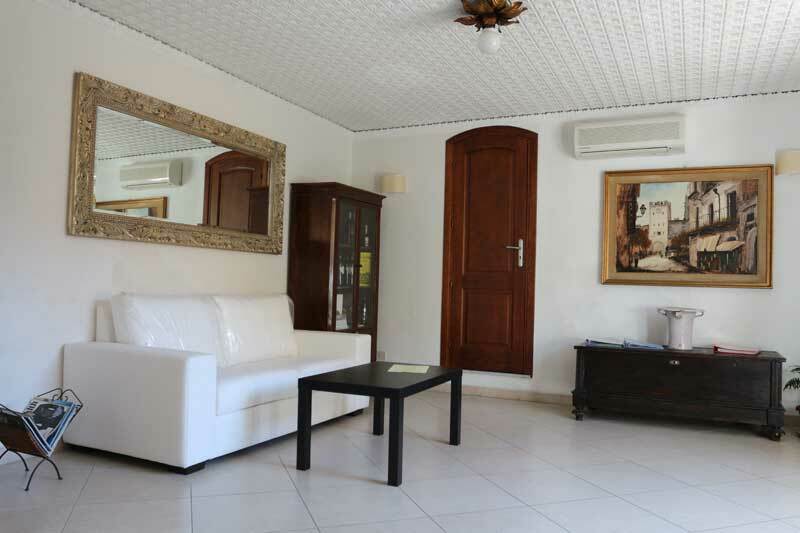 It is the perfect place to stay whilst spending a pleasant relaxing vacation or whilst visiting the local tourist attractions of the area. 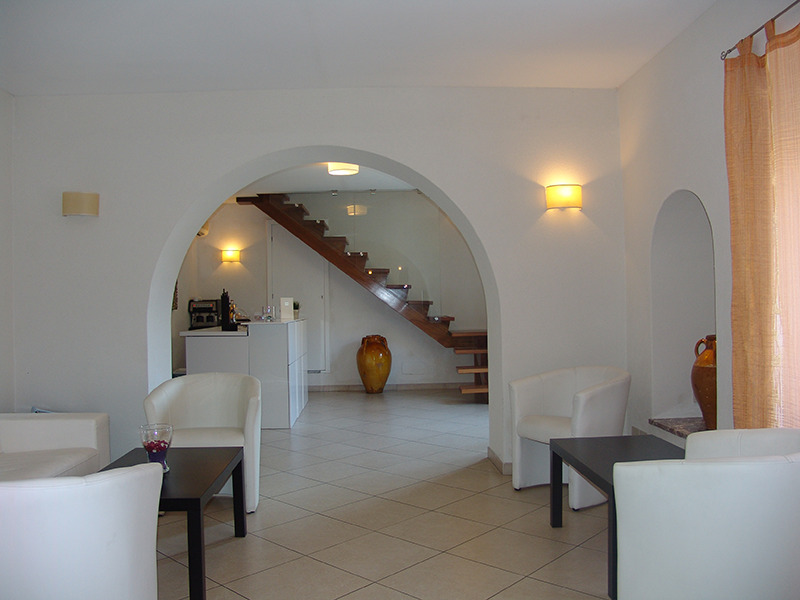 The hotel is managed by the owner together with a trusted and highly qualified staff. 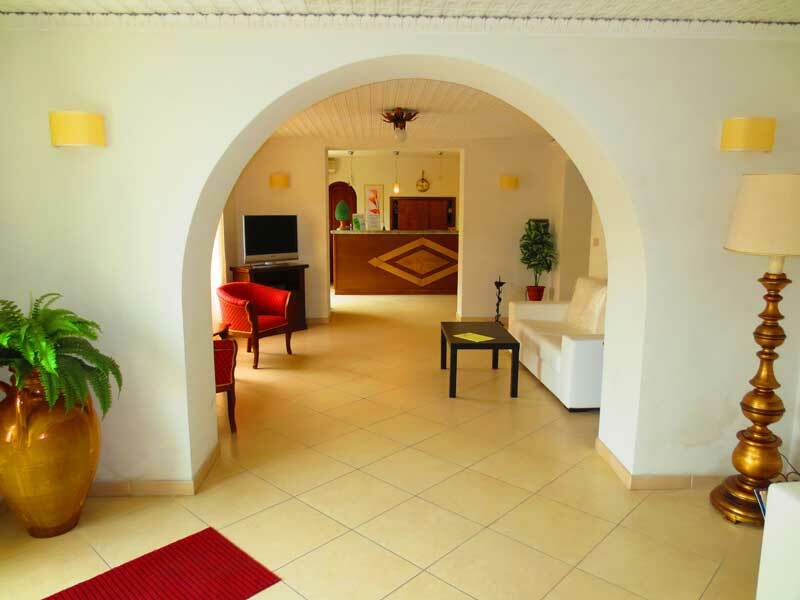 Guests are greeted with a warm welcome and are sure to spend a pleasant stay in a cosy atmosphere. 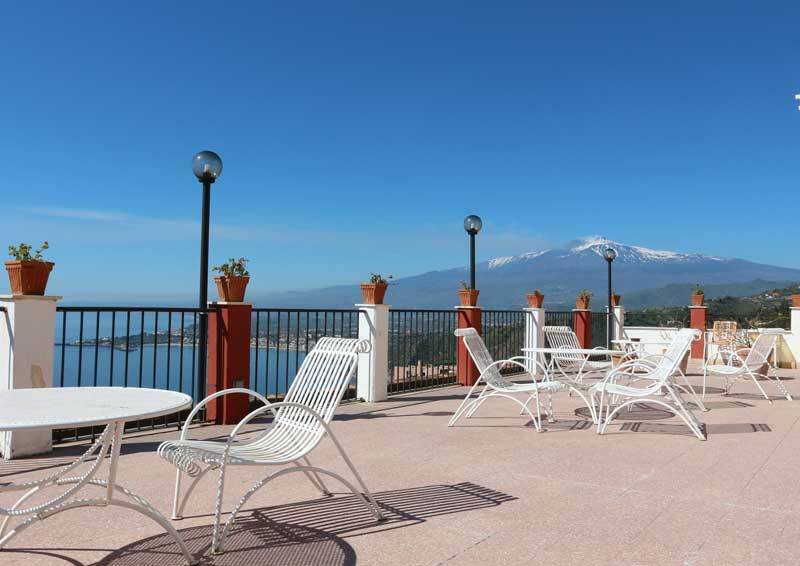 The hotel has a large terrace with a beautiful view of the Ionian Sea, the Calabrian Coastline, of Taormina and its bays, the Giardini Naxos (Naxos Gardens) and a view of Mount Etna Volcano with its occasional eruptions and lava flows. 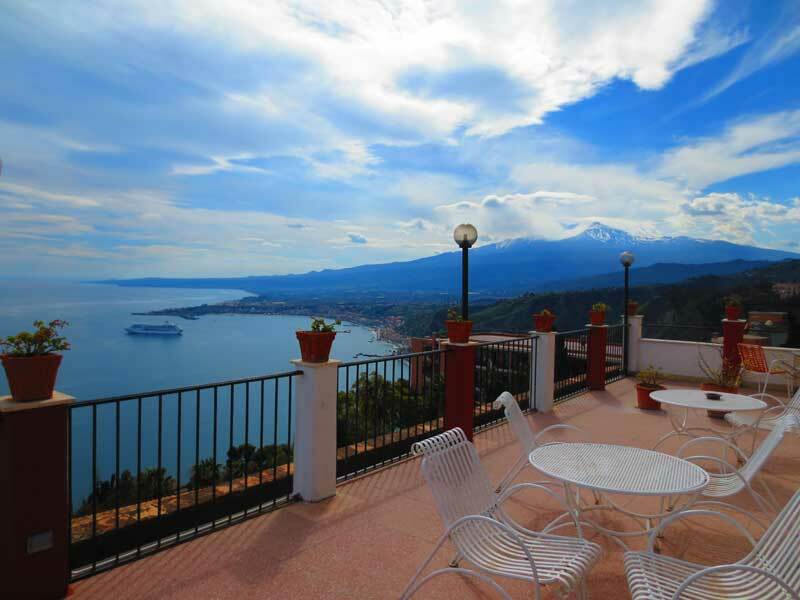 Taormina, known as the Perla dello Ionio (Pearl of the Ionian Sea) is a great starting point to begin visiting some of the most important archaeological sites of Sicily. The hotel also has a private beach with mini-bus service (beach umbrellas, sun-beds and changing room is also available to guests), along with car/mini-bus/scooter rentals, transfer service to/from the airport/train station/bus station, free WI-FI connection, internet point, parking service, babysitting service and restaurant with fixed rates. 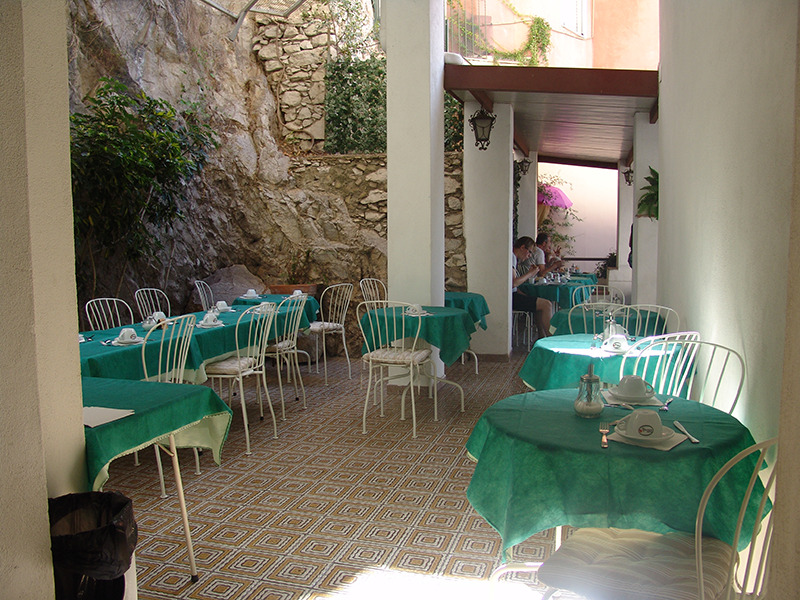 The Cableway that connects Taormina’s historic centre with Baia di Mazzarò and Isola Bella is close to the hotel. 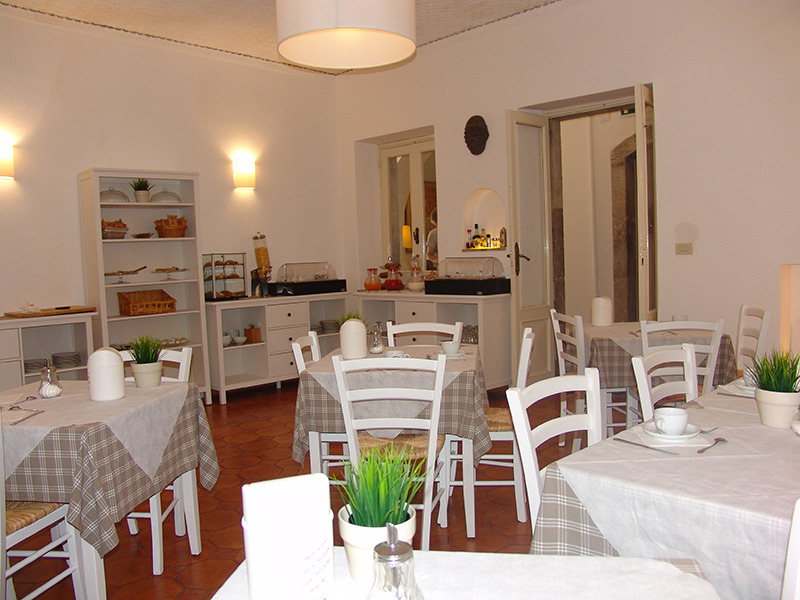 Breakfast is served in a small indoor dining room during the winter and on the terrace with the spectacular view during the summer..